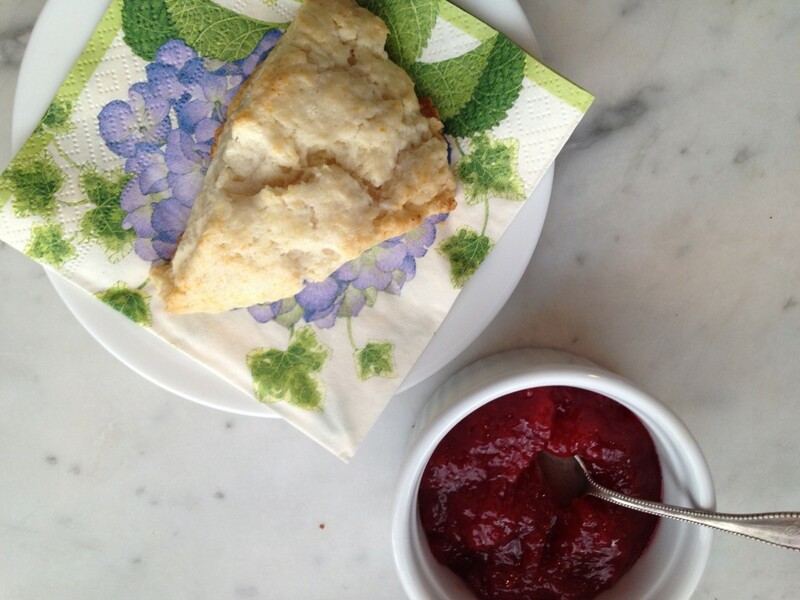 In Ireland the scones were not rolled, more like dropped. The tops had a craggy, more crisp, but not crispy, texture. I loved them this way. 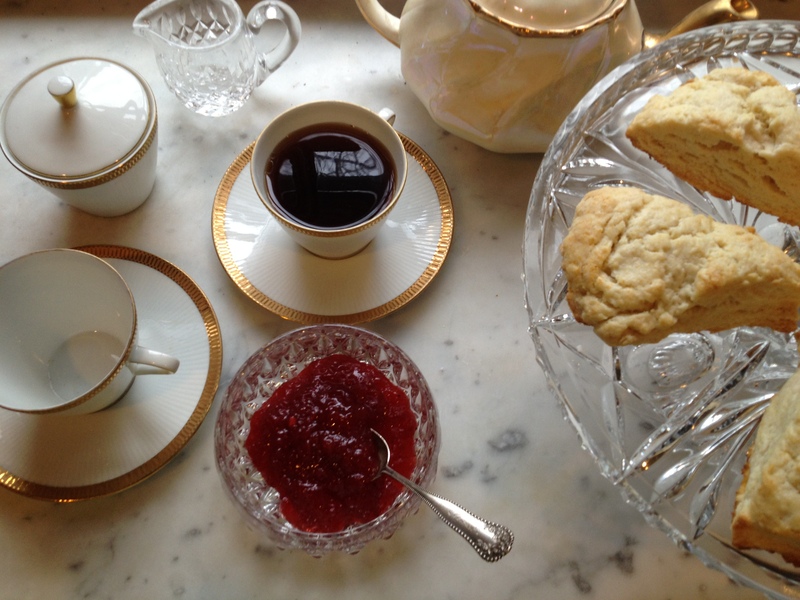 Having a “sharing Ireland” brunch on Sunday and definintely will be making scones (using the recipe you shared) and served with jam we brought back from Ireland. 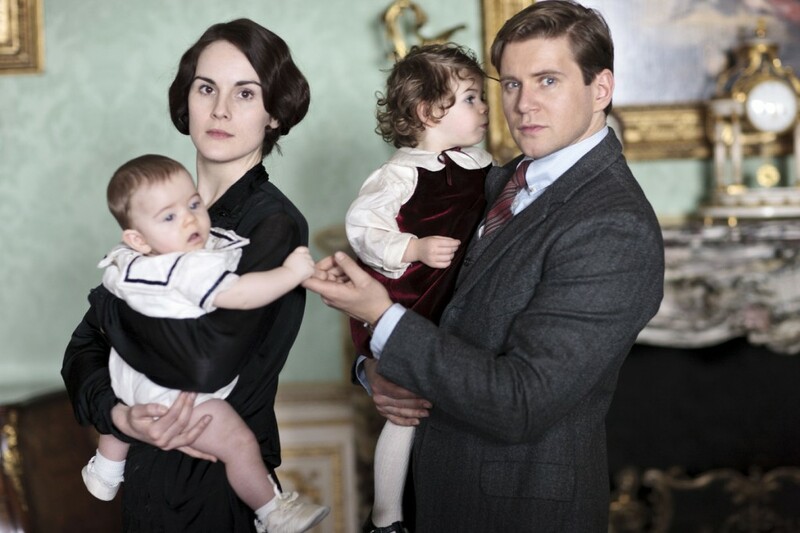 PS for some reason Downton Abbey did not record Sunday night (so disappointed) but will get to watch it tonight. 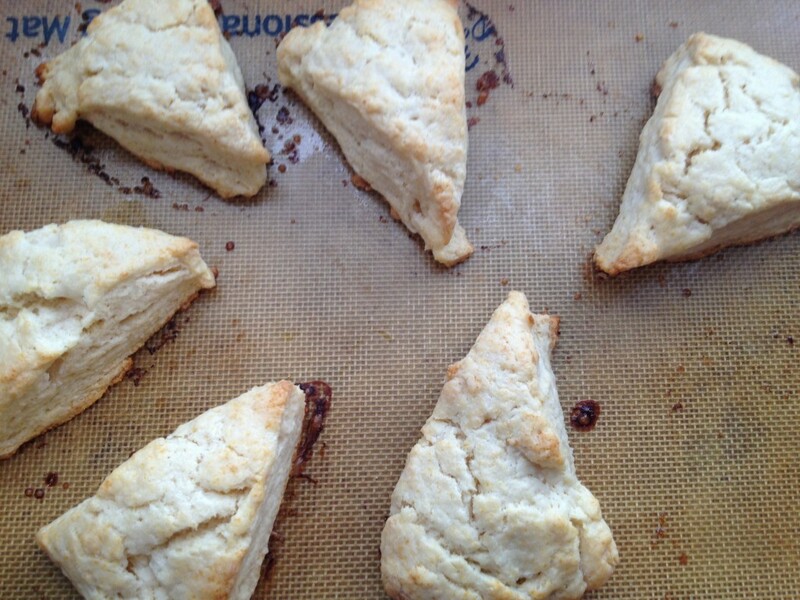 These are the flaky, craggy kind–I think you will like them. The dough is very sticky so work quickly! I brushed the tops with heavy cream before baking. We liked them right out of the oven so I would make them as close to your party starting as possible. Love the idea of a ‘sharing Ireland’ brunch!